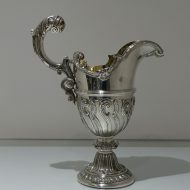 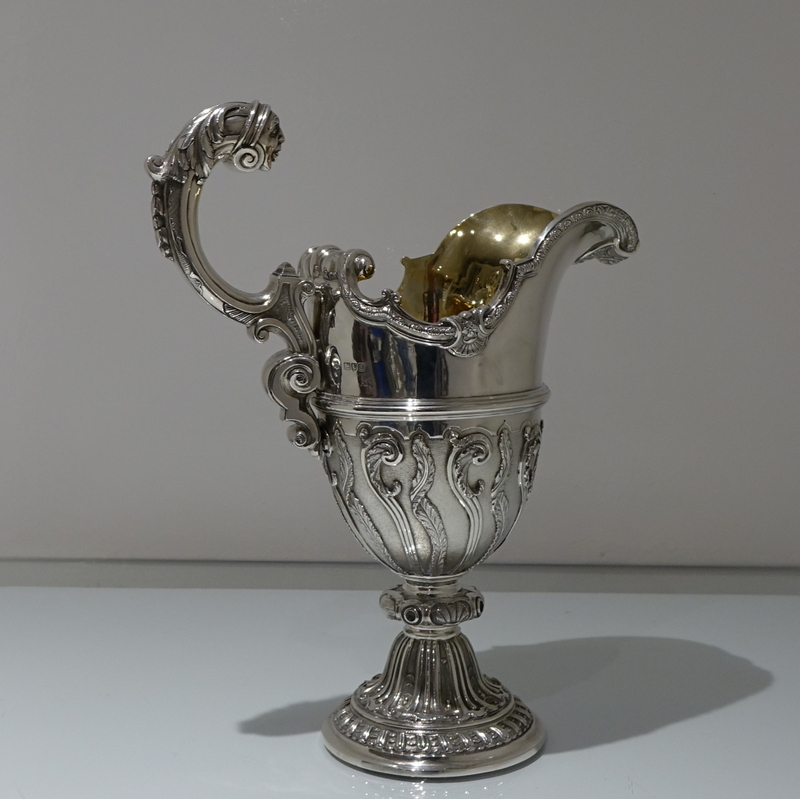 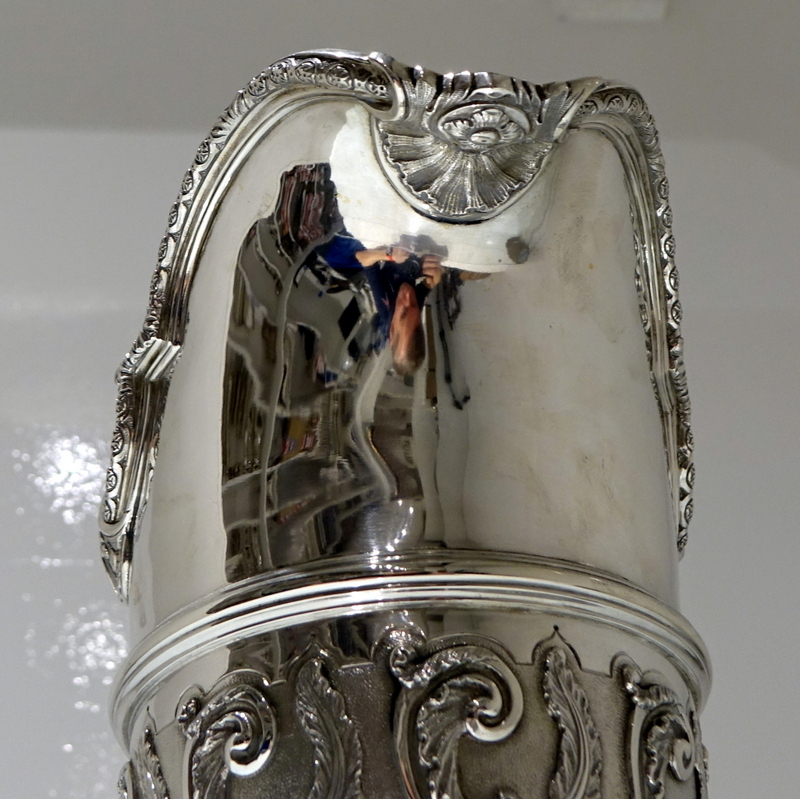 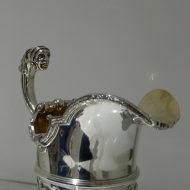 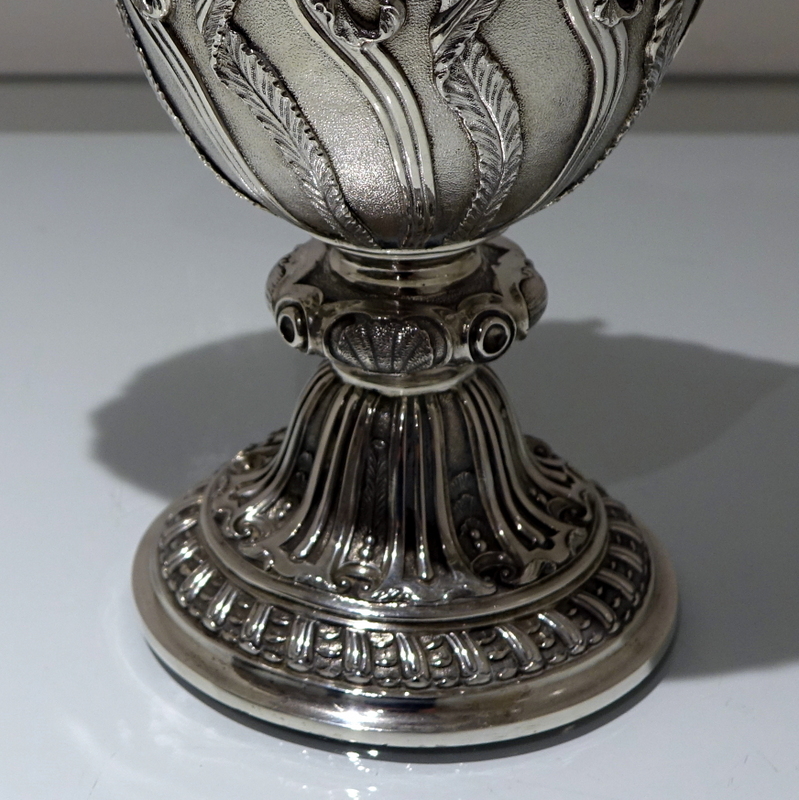 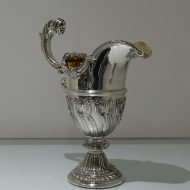 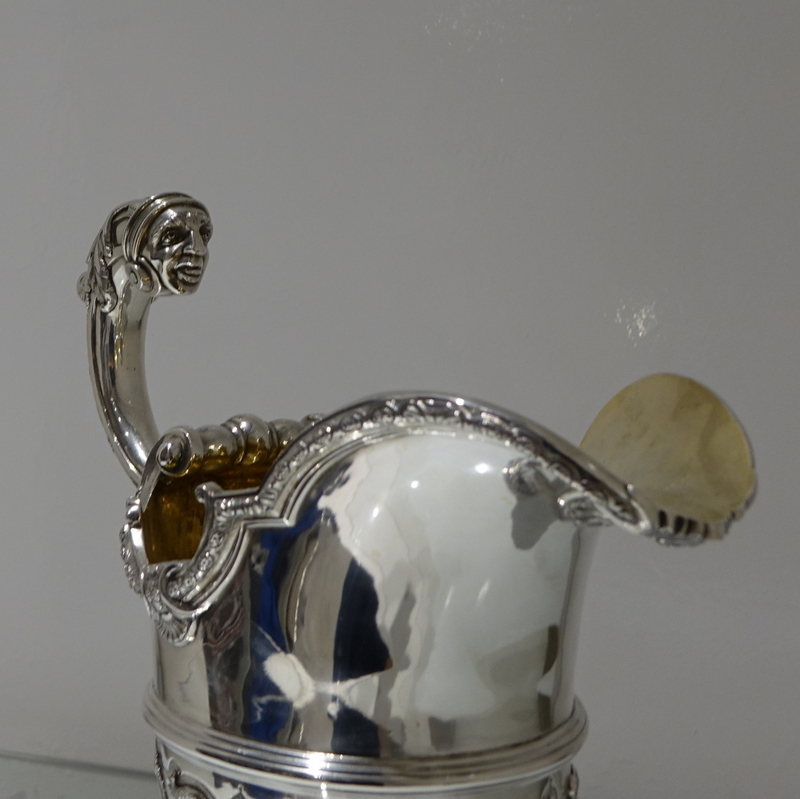 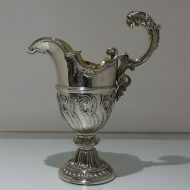 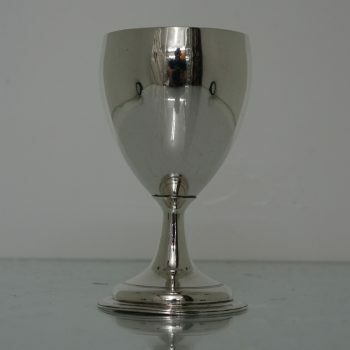 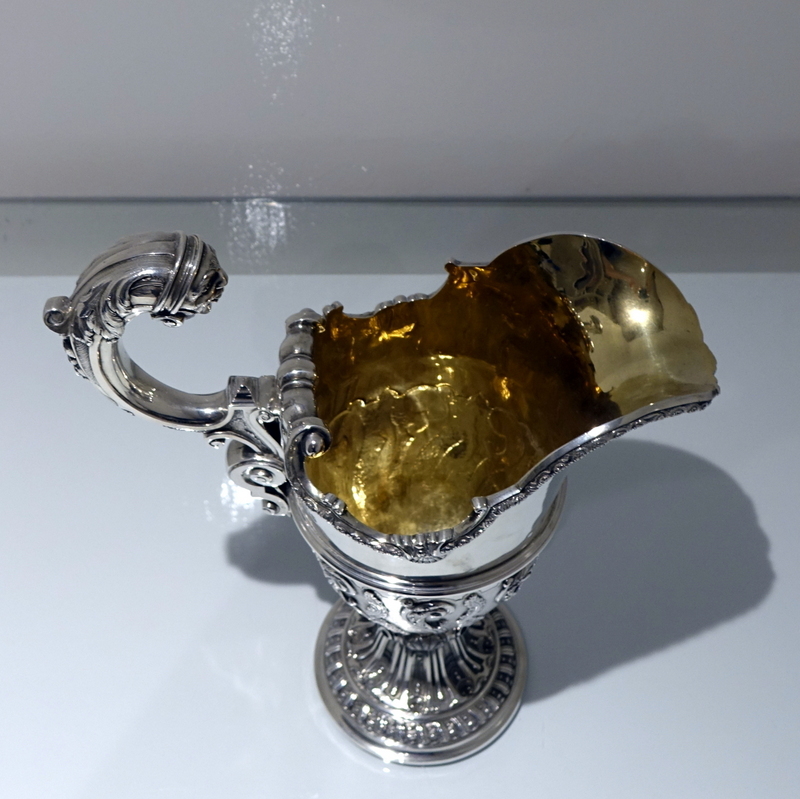 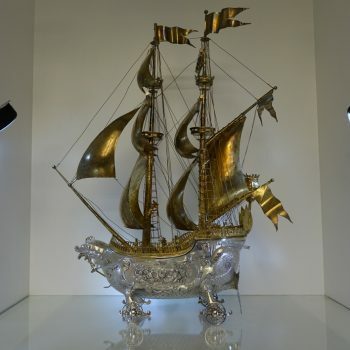 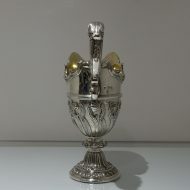 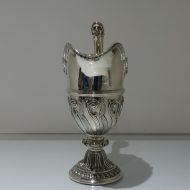 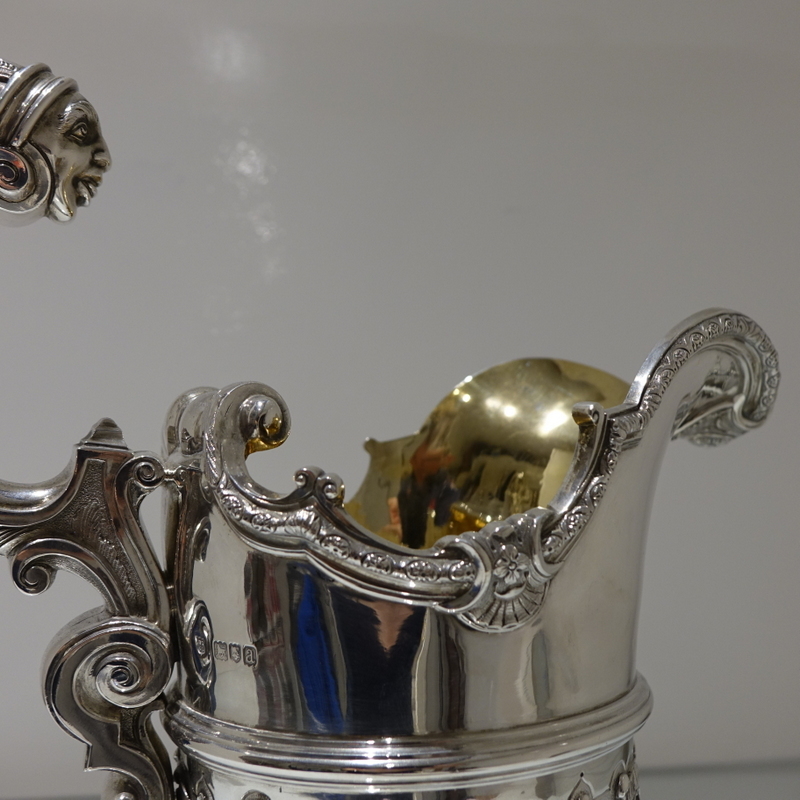 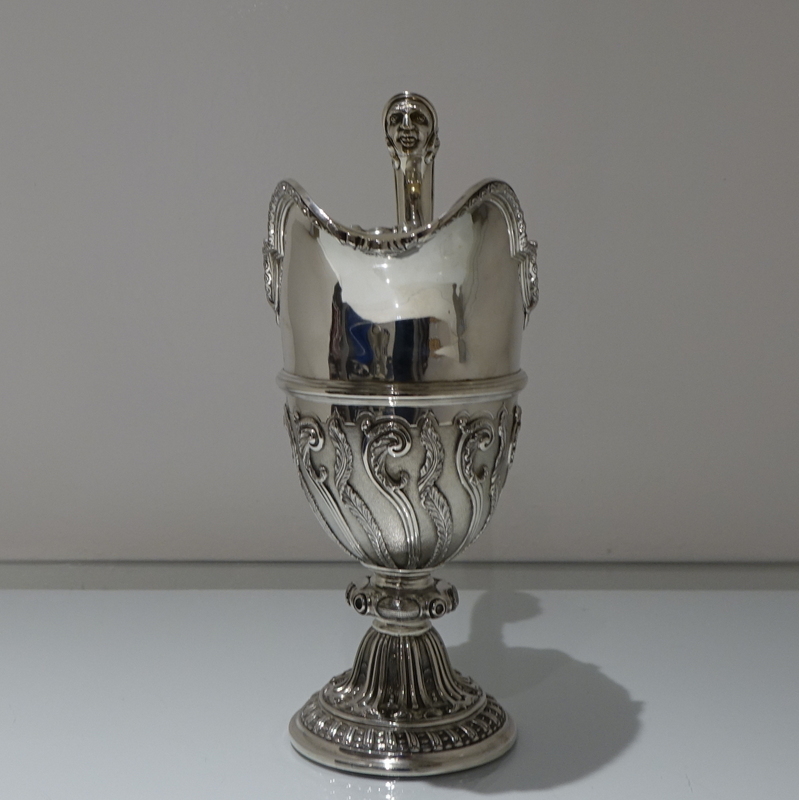 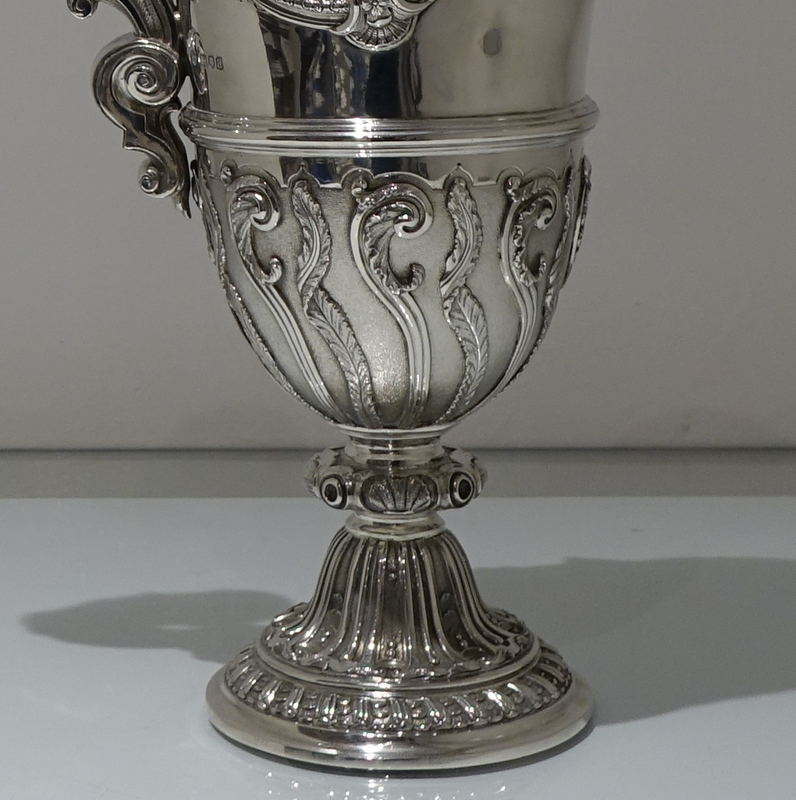 A spectacular quality and extremely fine large silver ewer. 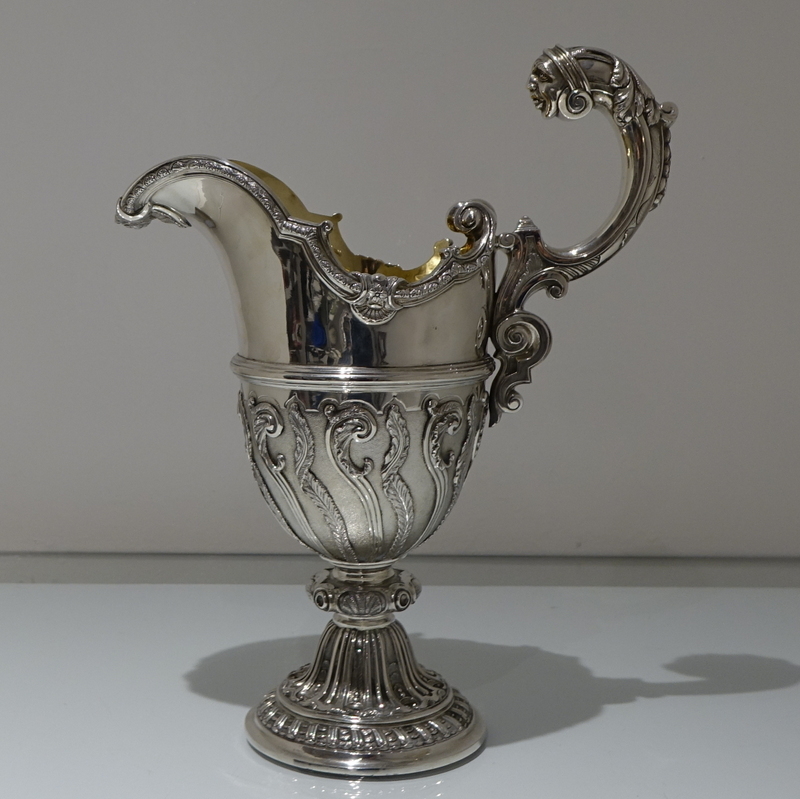 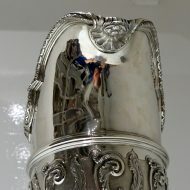 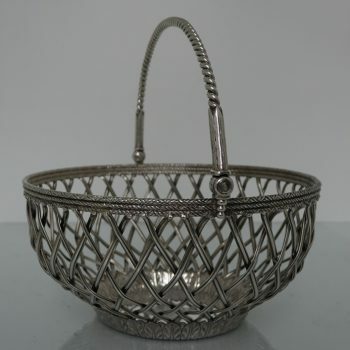 A spectacular quality and extremely fine large silver ewer designed with a lower matt finished body which has applied climbing foliage work for decorative contrast. 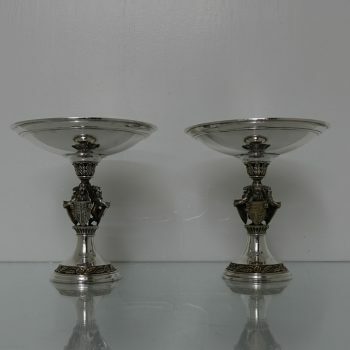 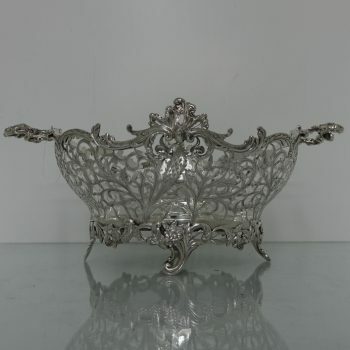 The foot is circular ornate pedestal formed and the floating handle is truly magnificent.